Bore Tech Black Powder Cleaner is a specially formulated, surfactant based cleaner designed for today’s muzzle loaders and inline black powder rifles. The proprietary formulation is a combination of ingredients that can simultaneously cut through heavy layers of powder residue, plastic, bullet lube and corrosive salts that accumulate during shooting. 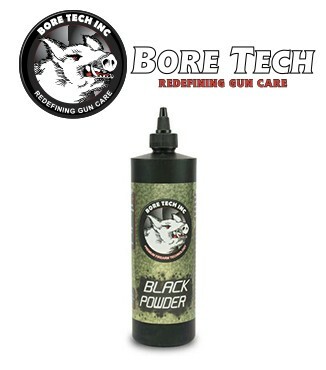 Bore Tech Black Powder Cleaner is an innovative aqueous based cleaner that has proven to surpass the rigorous demands of the modern day muzzle loader/inline rifle black powder shooter. 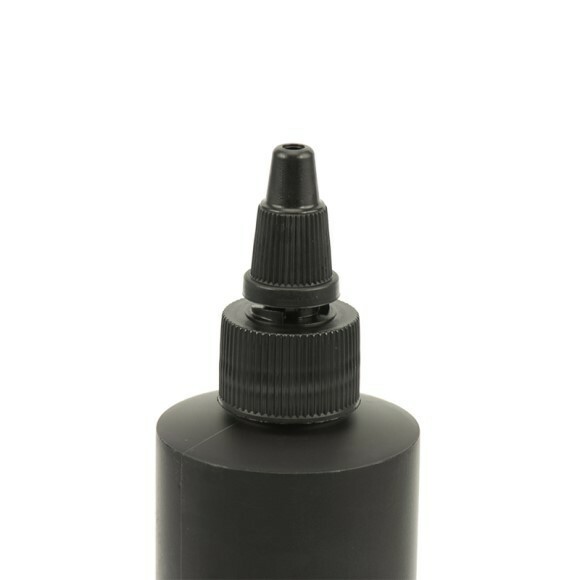 The cutting edge formulation contains high performance surfactants, naturally derived solvents and rust inhibitors that were strategically selected to offer unparalleled performance. Muzzleloader/inline cleaning has finally transcended to the 21st century. Are your rifles Bore Tech Black Powder clean?